Christiano Ronaldo cannot have a casual cup of tea - trendistic.com: ever tried. ever failed. no matter. try again. fail again. fail better. Stars need their caffeine just like we do. 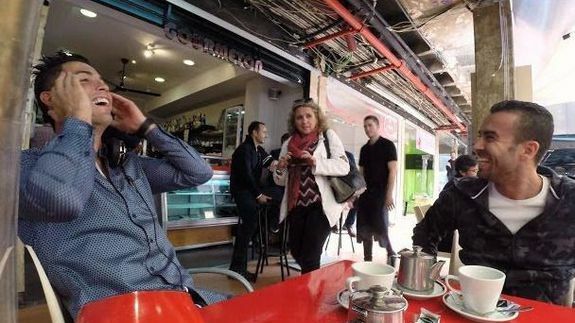 But while most of us can grab-and-go with almost no one noticing, celebs like Real Madrid player Christiano Ronaldo — one of the world’s biggest athletes — can’t sit in a cafe without attracting attention. Lots of attention. At least he takes it well.